Britain’s Lizzie Deignan soloed to victory at the Women’s Tour de Yorkshire on Saturday to take a popular win in her home county. The 2015 road world champion attacked with 15km to go to distance fellow Briton Dani King and was able to savour the final kilometre to the finish in Harrogate. “It was really special for me to finish here and to feel so much support,” Deignan said. 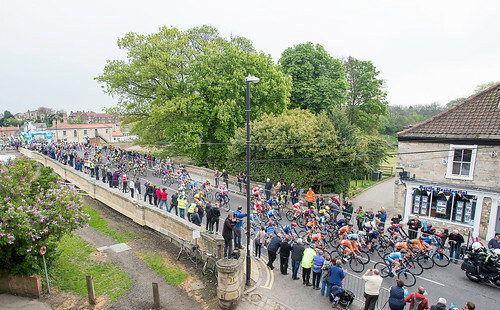 Deignan, King and Anna van der Breggen had formed the decisive breakaway group with 50km of the 122.5km race from Tadcaster. Deignan’s Boels-Dolmans Cycling Team van der Breggen worked tirelessly for the Briton before dropping back as King impressed to stay with Deignan. But the Commonwealth Games champion attacked again with 15km to the line and King could not match the effort. King dropped back to the chasing group that could not cut down Deignan’s advantage, which stood over a minute in the final stages.